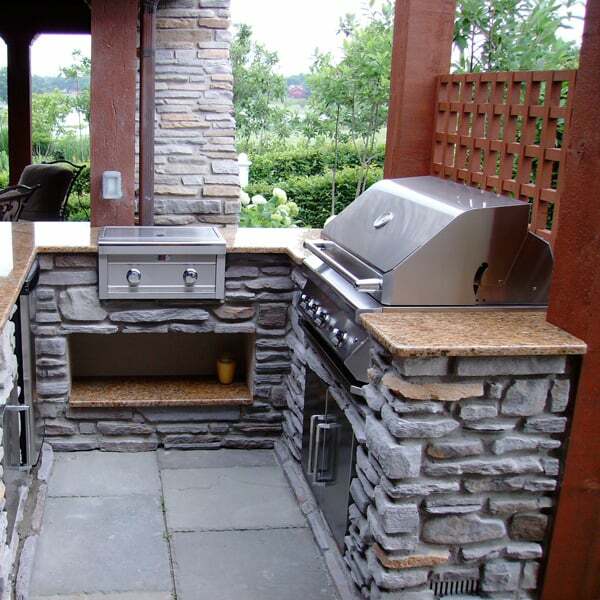 Envision yourself during the summer, entertaining and socializing with guests as you cook steaks, hot dogs and hamburgers at this Grill Island. Outdoor Rooms are great spaces for leisurely distractions with guests and visiting family members, and the "McRoberts" Grill Island Project by Leisure Select is no exception. Featuring a built-in gas grill, double side burners and a stainless steel sink, this grill island is a true outdoor kitchen, giving you the ability to cook gourmet meals or easy picnic fare. 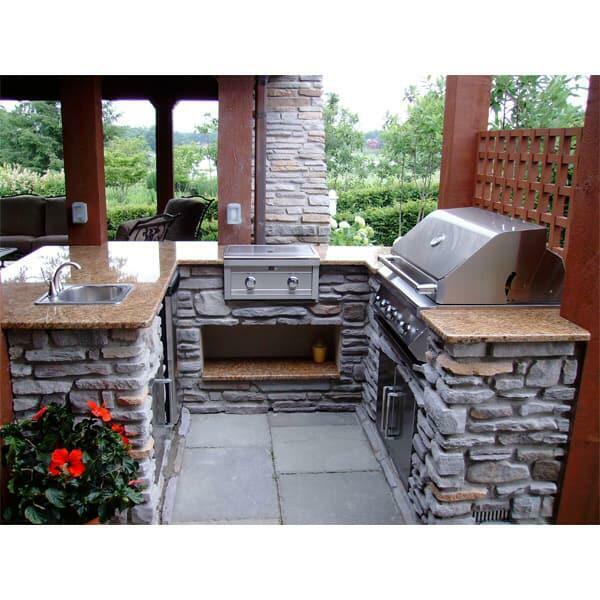 And this grill island is totally customizable, from the simple Pergola that recalls a garden trellis, to the custom granite table top, custom stone and custom tile. 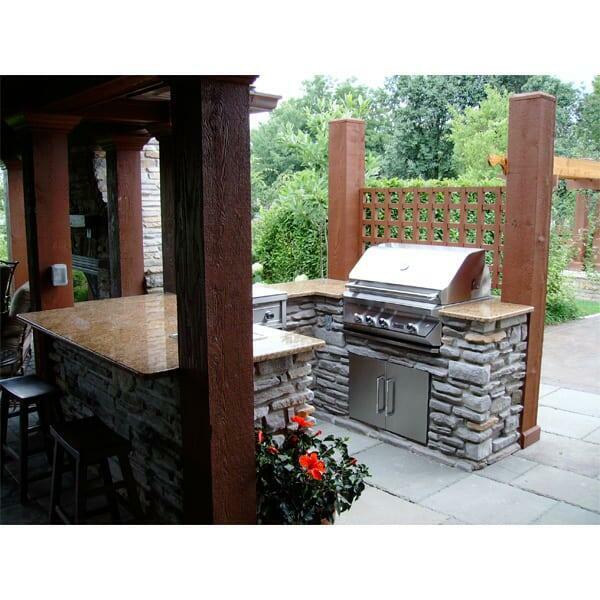 Impress your visitors and neighbors with the "McRoberts" Grill Island by Leisure Select. Contact us today!